It is safe to say that after how amazing was “Interstellar” last year, I was pretty excited to see that another sci-fi “space” movie was coming to the big screen. Even more exciting was the fact that it was a book adaptation, so I could potentially have even more reasons to judge or hate the movie if the adaptation or Matt Damon did not do their jobs properly. Therefore, I made a mission (see what I did there?) out of reading the book as fast as possible so I could see the movie in its premiere weekend. Unfortunately, sleep and chores beat me to it and I only managed to read about half the book before going to the movie. I am pleased I did not know the ending because those tense scenes wouldn’t have gotten me as good as they did. If I would’ve had space to pace around and jump I probably would have done that, because the suspense was so well built even though the movie did not exactly have the same ending as the book, but we’ll get to the comparisons soon. First, some things about the book. I can’t remember when was the last time I read a book that was so captivating from the very beginning. The author, through its main character, has a way of telling the story so that you get so hooked that you almost feel guilty you left the book for a break or for sleep. It feels as if abandoning Mark Watney himself and all effort in saving him. 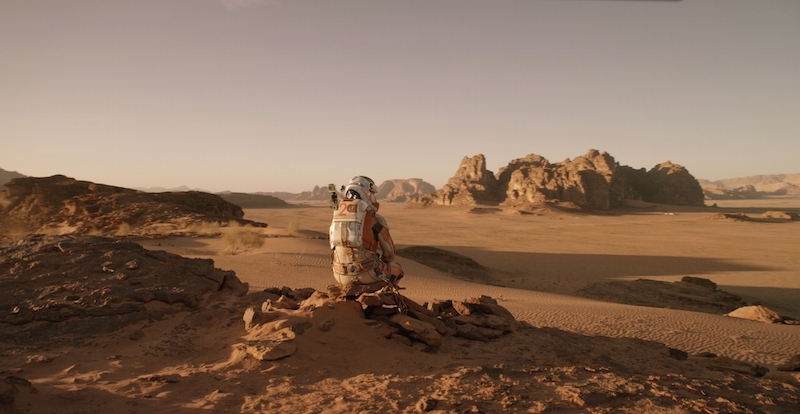 Mark Watney is the main character of “The Martian”. He is an astronaut, but also a gifted botanist and engineer that gets left alone on Mars, which is basically no man’s land, and that’s because no man can actually survive there. Surprisingly, it is not the Martians that are out to get you, it is all up to random things like freezing temperatures, radiation, poisonous air and soil that does not hold life, that are on a mission to kill you. Watney is not actually abandoned there, his crew is not so evil. What happened is that in their first week of being there on Mars, a terrible storm came along and the crew’s commander decided it was time to abort and leave. They had to go by foot to the vehicle (MAV – Mars Ascent Vehicle) that would get them out of there. That was when Mark got hit by an antenna and the crew thought he couldn’t have survived such a hit. They also checked his vitals, measured by his suit, and they decided there was nothing to be done. They left to the main ship, Hermes, that would take them back to Earth. Hence, Mark Watney is left on a faraway planet, with limited supplies and no chance for a meeting with humans to rescue him for 4 years. It is worth mentioning that, it does not take 4 years for a “trip” to Mars, as it was misunderstood from the movie trailer. The trip reportedly would take about 6 months, but only in 4 years would another manned mission be set to arrive there for studies and even that would be in a different place on the planet, about 3200 km from where Mark Watney is at this point. This great distance isn’t his most pressing problem. His problem is more in terms of (you guessed) not starving to death. “The Martian”, without going into too much detail, is mostly a story of survival, of the huge fight Mark Watney gives mentally and physically, against all odds, to not die there until someone could rescue him. The character is very funny, creative and tech savvy. It is not a tough job to empathize with him. He can very well fit into the category of “inspiring heroes” characters, because of his drive, ambition and high levels of resilience no matter what terrible problem he faces, and he had to face a whole lot. His survival depends on his valuable “trial and error” process. Some things were not actually as clear-cut as it was shown on the big screen. The movie did a great job out of filing my imagination voids, in terms of technology used throughout the book, and adding great emotion to the big moments from the story. Matt Damon did a great job playing the role of Mark Watney. Couldn’t imagine him any other way. I also enjoyed the beautiful “shots” of Mars, space and of Matt Damon’s abs. Not knowing the ending, going into the movie, helped a lot in getting properly hooked by those very tense scenes. I also was very close to crying and I rarely cry at movies. That’s just how good a job they did. I know that being the case of a book-to-screen adaptation, sacrifices must be made in order to make the story flow smoothly on screen and for the viewer to not get lost into details, but I still feel they could have made Mark Watney’s stay on Mars look more closely difficult to how it really was in the book. The movie was like the social media version of the book, in the sense that only the entertaining and hugely interesting stuff got through, but I also might be too picky and pretentious (I am, aren’t I?). Still, don’t get me wrong, I enjoy watching book-to-screen adaptations because I like comparing the story that I imagined to the story that professionals imagined visual-wise. Throughout the movie, not exactly Watney’s knowledge and creativity, although impressive, educational and entertaining at the same time, were what struck me the most: it was his high level of resilience that got me thinking a lot what about him enabled him to power through any problem that the Mars situation threw at him. Was it his intelligence, his sense of humor, or did he just possess a must-have set of strengths required to ANY astronaut to have? Don’t get me wrong: he does get sad, mad and hopeless in his quest for survival, but it is just for short periods of time. He might be a fictional character, but he is no robot. He is the definition of a “problem solver”. After a bit of research, it seems like the key to Mark Watney’s proper state of mind on the red planet was the training from NASA, obviously, and the abilities an astronaut must possess like: problem solving under stressful conditions, intelligence, adaptability and mental endurance (resilience is a powerful skill to master). Also, beyond his great wish for survival (“I am not going to die on this planet.”), what got him through was also the hope he could eventually access human communication with NASA and his ARES 4 crew, real time communication being of great help to astronauts’ proper functioning so far from home. In addition, of great importance is being focused on certain activities in order to avoid problems like depression (you can read more info here and here). An important role is the one that the sense of humor had, a characteristic that is almost a character of its own because Watney jokes whenever given the chance, no matter how complicated the situation ahead is. Together with tech info and little chemistry “lessons”, the use of the sense of humor made the character very agreeable and the book very entertaining to geeks also, who will appreciate the details of Mark Watney’s endeavors on his mission for survival. 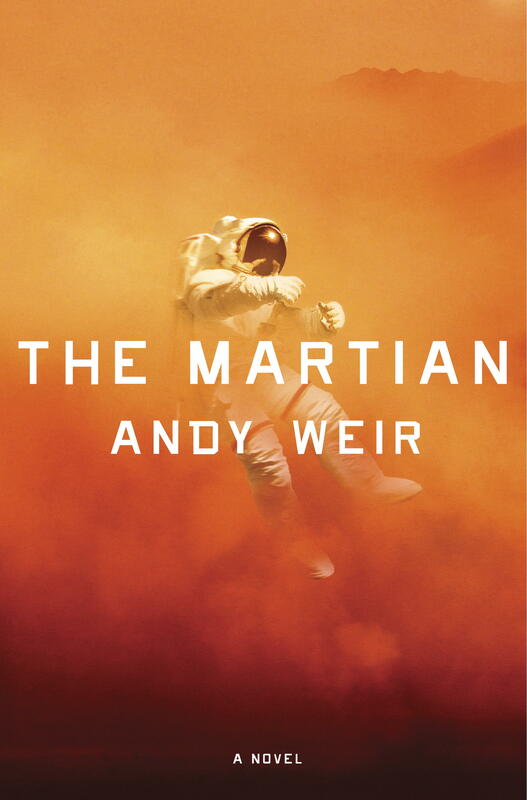 You could infer a few life lessons from it, but the book is ultimately a hugely entertaining piece of writing that, as Neil deGrasse Tyson said, makes out of science an important and notable character that solves the big problems, gets Mark Watney out of trouble and that makes the story very exciting to read and see on the big screen. That alone might be reason enough for certain people to give the book a read, maybe also attempt at a marathon reading because this book is a tough one to put down. Următor What do you know about Selena Gomez?